The Romantic Revival continues, thanks to Hyperion Records' incredible Romantic Piano Concerto series, of which the present volume is number 40. Henri (Heinrich) Herz was born in Vienna in 1803 and died in Paris in 1888. He was in the famous circle of Schumann, Liszt, Alkan, Chopin and all the rest that comprised the best composers of the high Romantic period. Not only was he a pianist of repute but a composer of eight piano concertos and over 200 solo works for the piano in the form of variations, études and fantasies of all kinds. After settling in Paris in 1816 at the age of 13, he became well known as a piano teacher and was appointed professor of piano at the Paris Conservatory in 1842. Herz toured internationally, performing in the West Indies, Mexico and the United States between the years 1845 and 1851 from which he derived considerable funds, enough to start a piano manufacturing business and to build a concert hall. After 1900, many of these highly esteemed composers from the Romantic period vanished into oblivion for the most part. Herz's name was remembered for his participation in a work that many composers were asked to participate in, including Liszt (Hexameron), which is recalled today for the splendid performance recorded by the late Raymond Lewenthal. In the enusing years—perfect repertoire for Hyperion's Romantic Concerto series—the eight piano concertos began to appear. Previously released in 2004 were Nos. 1, 7 and 8 [Hyperion 67465] with the same forces mentioned above. Now comes the second volume giving us Nos. 3, 4 and 5, all with the gifted and enterprising Howard Shelley who plays the double role of pianist and conductor of the Tasmanian Symphony Orchestra. This is obviously the kind of repertoire Howard Shelley relishes in playing and it's very obviously the kind of repertoire Romantic music enthusiasts thrive on. Nothing ever sounds over-taxing for Shelley. 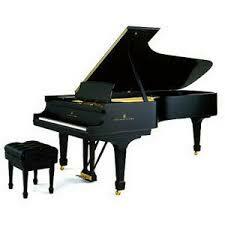 The music is as florid and sweeping, pianistically and orchestrally, as we know flourished during the Romantic period. Tuneful, runs, marvelous harmonies, exceptional interplay between soloist and orchestra. One can whistle these melodies as they are so full of melodic charm. Henri Herz was highly imaginative and gifted and knew the piano's capabilities innately, enough for him to want to build his own pianofortes. His lifestye resembles that of another pianist/composer/piano maker, Muzio Clementi. Shelley, working in the dual role of pianist/conductor is in complete control of all details. One has to greatly admire a musician of this caliber. All of the concertos are highly individual representations of the period, though the fourth seems to be constructed with more keyboard ingenious keyboard ideas, with much use of the piano's repetition mechanism. With this CD, only two concertos remain to be recorded and released. It is difficult to believe that performances better than these would be possible. Recordings are first-class, well balanced, superb pianos and hall acoustics, with always outstanding notes, in this case by Jeremy Nicholas. If any of the recordings Hyperion has produced to help keep them going through their financial difficulties due to legal problems, it must certainly be the Piano Concerto series and the complete piano music of Franz Liszt, one of the most marathon projects ever produced by any record company. With the Piano Concerto series, it almost seems like a project that could go on indefinitely, and for that, I couldn't be happier. Ughh, I'm still trying to get all of the 39 that came before this one!!! Maybe I'll get them all eventually! I've got most of the piano concerto series, but not too many of the volumes 30-39. I did get the SACD of Rubenstein.